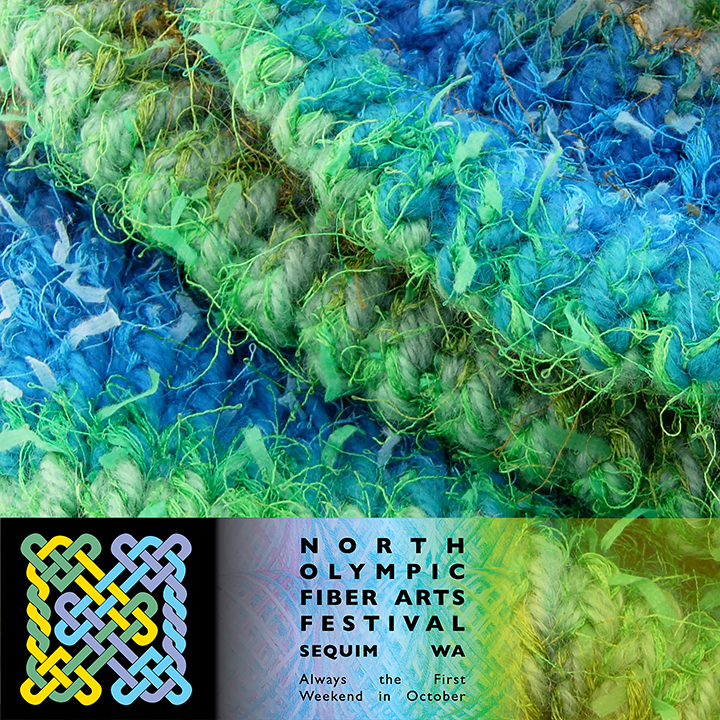 We are excited to be celebrating the 10th Annual North Olympic Fiber Arts Festival in Sequim WA which is always the first weekend in October! Join us for this interactive fiber arts event connecting to the community with activities such as a museum exhibition, workshops, educational demonstrations of fiber processes, hands-on projects with children and adults, Fiber Arts Market of local artists’ work and fiber supplies, lecture, and information about local fiber activities, groups, businesses, and instructional resources October 2, 3, and 4, 2015. First Friday Art Walk Sequim “Fostered Fiber – Remembrance, Remnants & Mentors” Fiber Arts Exhibition 5 p.m. – 8 p.m. Museum & Arts Center at 175 West Cedar St. 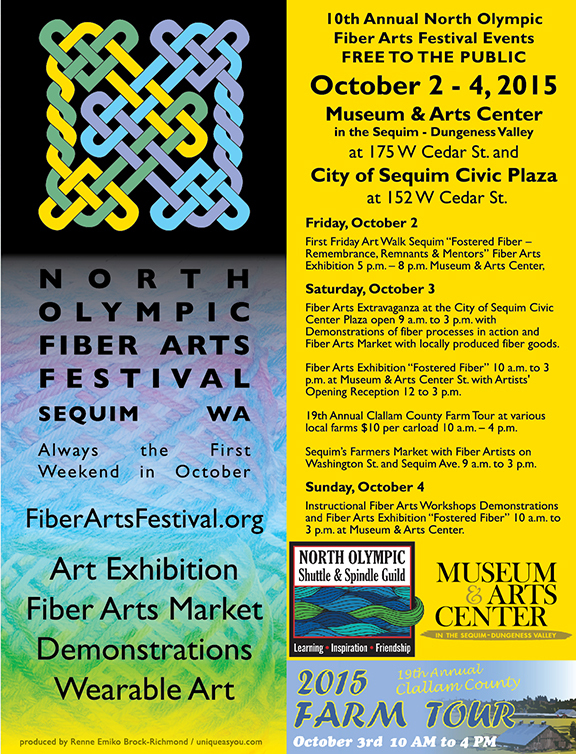 Fiber Arts Extravaganza at the City of Sequim Civic Center Plaza at 152 West Cedar St. on Saturday, Oct 3. Open 9 a.m. to 3 p.m. Demonstrations of fiber processes in action and Fiber Arts Market with locally produced fiber goods. Fiber Arts Exhibition “Fostered Fiber – Remembrance, Remnants & Mentors” 10 a.m. to 3 p.m. at Museum & Arts Center at 175 West Cedar St.
Artists’ Opening Reception 12 to 3 p.m. at Museum & Arts Center at 175 West Cedar St.
19th Annual Clallam County Farm Tour – The North Olympic Fiber Arts Festival is partnered with the 19th Annual Clallam County Farm Tour that is held on Saturday, October 3th from 10 a.m. – 4 p.m.
Instructional Fiber Arts Workshops Demonstrations and Fiber Arts Exhibition “Fostered Fiber – Remembrance, Remnants & Mentors” 10 a.m. to 3 p.m. at Museum & Arts Center at 175 West Cedar St.
“Fostered Fiber – Remembrance, Remnants & Mentors” is the theme for the 2015 North Olympic Fiber Arts Festival Juried Exhibition at the Museum & Arts Center at 175 West Cedar St. Downtown Sequim opening October 2 during the First Friday Art Walk Sequim 5-8 p.m. This year the exhibition theme is about expressing the dedication to cloth, cherished memories, and mentorship with gifts of knowledge and kindness, while cultivating interest in generations to come in the practice of fiber arts creation and sharing of abundance. From first attempts to work with thread, yarn, and fleece to refined finished objects of art, the fiber works that tell stories of fostering learning and living are desired. The “Fostered Fiber – Remembrance, Remnants & Mentors” exhibition includes Judy Anderson, Aleta Lynn Baritelle, Catherine Bilyard, Renne Emiko Brock-Richmond, Kathleen Dwyer, Season D. Evans, Liisa Fagerlund, Janette L. Finfrock, Susanne F. Foster, Muff Fregia, MarySue French, Janet Green, Stan Green, Pamela Hastings, Isamar L. Heras, Beth A. Hutmacher, Celeste Kardonsky Dybeck, Susan S. Kroll, Mary Liebsch, Cathy MacGregor, Donna L. McMillen, Mikie M. Morris, Kathryn Myers, Serena Mylchreest, Sherry Nagel, Susan Nylander, Pat Oden, Judy Ramos, Cheryl Reed, Marilyn Reinarz, Susanne Scott, Nora Shapiro, Gloria Skovronsky, Kerry Smith, Marielle Snyder, Peggy St. George, Jenny Stice, Marla Varner, and Mary Ellen Wells. Each year on Saturday from 9 a.m. to 3 p.m, we have an action-packed Fiber Arts Extravaganza full of free educational demonstrations, hands-on engagement for all ages, and Fiber Arts Market. We are thrilled to be at the brand new City of Sequim Civic Center Plaza on the NW corner of Cedar Street and Sequim Avenue. 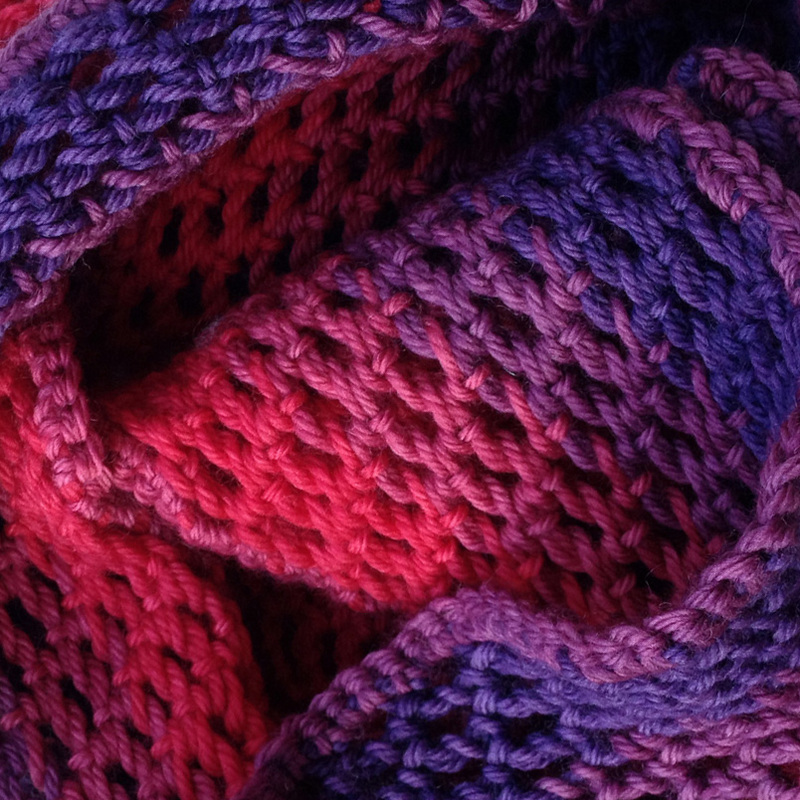 Visitors will have the opportunity to shop for items from fleece to finished products including apparel, household goods, and supplies to create your own fiber works. Demonstrations vary from spinning yarn, felting, knitting, hooking, weaving, and hand stitching. Learn more about local artists and fiber related groups to join our growing and supportive community. Bring your friends and family to discover the many forms of fiber arts and make some new friends too. Also on Saturday from 12 to 3, come to the “Fostered Fiber” Artists’ Reception at MAC where you can meet the exhibiting artist from near and far who may reveal the stories behind their elaborate work. On Sunday, we have demonstrations for workshops by local artists who teach various fiber methods that might include quilting, dyeing, spinning, felting, knitting, and creating custom fabrics at the Museum & Arts Center from 10 a.m. to 3 p.m. These upcoming workshops are a great way to try out different fiber arts and discover your talent for color and craft. Free to the public and enjoy the “Fostered Fiber – Remembrance, Remnants & Mentors” exhibition as well. Thank you for your support! This ongoing annual interactive fiber arts community event is made possible with the assistance of several local fiber arts groups, artists, fiber friendly businesses, and our many community partners including the Clallam County Farm Tour, Sequim Farmers’ Market, and Museum & Arts Center in the Sequim-Dungeness Valley. It is produced and sponsored by Renne Emiko Brock-Richmond / unique as you with co-sponsor North Olympic Shuttle & Spindle Guild, our local spinning and weaving guild. Excellent volunteers make this community event possible and we are grateful for their fostering natures and fiber arts talents. To encourage fiber art exhibition entries from the community, NOFAF Director Renne Emiko Brock-Richmond will provide assistance in photography, art statements, and online registration at the Jamestown S’Klallam Tribal Library on Wednesday, September 2 from 2 to 4 PM. Bring your artwork entry to be photographed and payment, credit or debit card for online processing through Submittable, to the library for Renne to assist in your participation in this two month exhibition at the Museum & Arts Center. A juried fiber arts exhibition expressing the dedication to cloth, cherished memories, and mentorship with gifts of knowledge and kindness, while cultivating interest in generations to come in the practice of fiber arts creation and sharing of abundance. 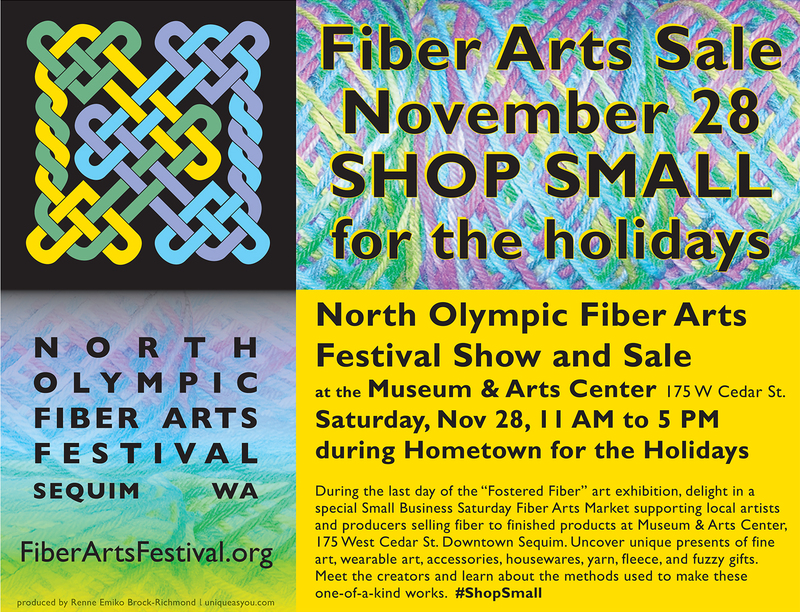 Open to all fiber arts media. Maximum of three entries per artist. $5 fee per entry. The Call for Entries is totally online now. You can review details and requirements at Submittable Site set up by unique as you. Fostered Fiber – Remembrance, Remnants & Mentors exhibition is a component of the 2015 North Olympic Fiber Arts Festival on Oct 2, 3 & 4.